TIG welding, also known as Gas Tungsten Arc Welding (GTAW) or Tungsten Inert Gas Welding is used most commonly in weld applications where precision weld deposits and high quality bead appearances are required. In TIG welding, an electric arc is created between the weld metal and a non-consumable Tungsten electrode. This differs from MIG welding, where the wire electrode is consumable. Like MIG welding, the weld pool is shielded from atmospheric contamination by inert shielding gases. Pure Argon, Helium and CO2 or some combination of the three are often used. The gas is fed through a TIG torch and surrounds the weld pool to keep it free of contaminants. Sometimes, a filler metal, called a TIG rod, is inserted into the arc to facilitate the welding process. TIG welding is most often used to weld metals like stainless steel, aluminum, magnesium, and copper alloys, particularly if they are thin sections. TIG welders have better control over the arc and the process than other methods of welding allow, which makes for stronger, higher quality welds. 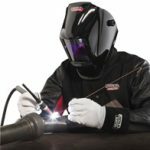 To get started with TIG welding, you’ll need: a welding torch, a non-consumable tungsten electrode, a constant-current welding power supply, and your shielding gas. Although TIG welding produces impressive results when in the right hands – it is difficult to master. The process is more complex than other methods of welding and has slow deposition rates, as a result, it takes longer to complete the weld, making the entire process slower than other methods. The trade-offs for this required level of precision and skill are many, however. TIG welding allows welders to control all of the welding variables with total precision. That means low distortion rates, superior weld quality, and minimal spatter. Welds can be made with or without filler material, which can help you save on costs. 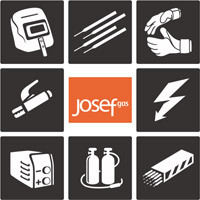 Visit Josef Gas online or in person at 201 Basaltic Road in Concord, Ontario for everything necessary for a TIG welding operation. Shop for gases, equipment, and wires from all the major brands.